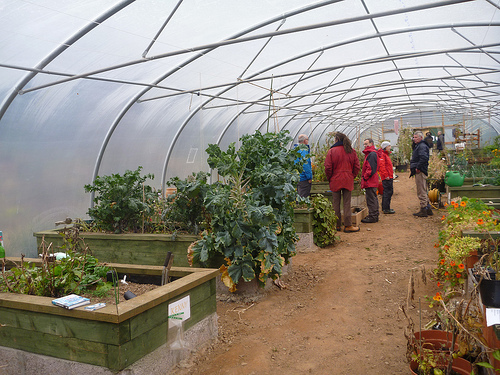 Last week we visited the amazing growing spaces at Kilfinan Community Forest in Tighnabruaich. Despite the torrential rain and grey skies we ventured around the allotments and spent time finding out about the huge success they’ve had with their poly tunnel, now its own social enterprise Kyles Allotment Group. We were also treated to a visit to their new hydroelectric generator and sites for camping, crofting and affordable housing built from timber from the land. Thanks to Nikki Brown and Sara McLean for showing us around and imparting words of wisdom! We are still considering how to move forward with our plans for the 50-acre Cove Park site and we will let you know how our plans develop.